I prefer to consider value in some instances as a question of how long it takes a purchase to “pay for itself.” How quickly does a certain measure of value eclipse the price I paid? When it comes to choosing a rifle scope, if I pay $200 or less for one of these three highly regarded models instead of a rival priced several times higher, the money I save may end up invested toward a high-priced hunt. Consequently, if my $200-or-less scope aids me in taking a trophy specimen under intensely daunting conditions at a cost of $500 or more per license, I would say it instantly validates my purchase more than twice over. As clarity goes, I really cannot point to one “secret sauce” that sets a scope apart. Truthfully, most major brands employ the same processes across the board but not always with equally results at the end. Like most shooters, I want the brightest picture and most distinct contrasts possible with little-to-no blurring or fogging. Vortex Optics Diamondback 4-12×40 Dead-Hold BDC Reticle – The Diamondback’s remarkable clarity demonstrates exactly what I extolled above: you could blindly compare this Vortex scope’s overall visual quality to a Leupold or Swavorski three times its price and hardly tell which is which. Like its two rivals, it achieves its impressive brightness with multi-coated lenses that minimize reflection and transmit as much light as possible. Each scope has also undergone what is known as a “purge,” in which the tube is filled with either nitrogen or argon gas to rid it of as much oxygen as possible and tightly sealed inside by an O-ring to waterproof and fogproof its optics. This particular model’s one downside: some signs of light difference between its minimum and maximum magnifications, but not enough to make a drastic difference. Bushnell Optics Drop Zone 223 BDC Reticle Rifle Scope – Bushnell optics may not stand apart for doing one particular thing famously well. Rather, they have become a brand that one generation after another has trusted because their products are affordably priced wholes far greater than the sums of their parts. If you grew up shooting a Bushnell scope, chances are, you feel perfectly justified sticking with it because it never lets you down. Like the Vortex Diamondback, the Drop Zone delivers bona fide high-definition clarity with an anti-moisture nitrogen purge and multiple effective lens coatings to absolutely minimize reflection down to a negligible level. 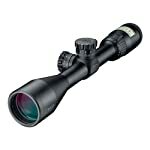 Nikon P-223 3-9×40 Mate BDC – Nikon’s P-223 exemplifies exactly what I love most about their scopes in general: I have rarely used consistently brighter optics. From its purge to its multi-coating, I can’t point to one difference-maker that Bushnell and Vortex’s scopes can’t offer. On paper, the processes might as well be identical. I can’t deny the difference, though. There are typically few better times to be afield in pursuit of game than the very earliest and very last daylight. Seizing those fleeting prime hours requires a scope that cannibalizes every shred of illumination its lenses can gather and, like so many other Nikon models, the P-223 has been proven to transmit up to 98 percent of available light. The nature of hunting lends itself to scenarios when your scope may suffer physical trauma ranging from moderate jostling to swinging and bumping against rocks and trees with one unsettling “clang” after another. That’s why the world’s best-regarded makers of fine optics take great care to fortify their products with sturdy materials that can resist a fairly hearty beating with little more consequence than perhaps a zero being knocked askew. 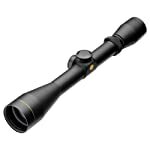 Nikon P-223 3-9×40 Mate BDC – Nikon scopes are not exactly shrinking violets in their own rights, but the P-223 just isn’t exactly remarkably tough when compared with our other two options. Its aluminum body doesn’t break at the first hard impact, the limited lifetime warranty will reasonably cover a good many unexpected malfunctions promptly with few questions asked, and its seal dependably keeps debris at bay outside its lenses. However, there’s nothing exceptional about its construction. 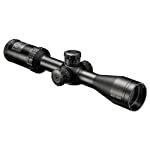 Bushnell Optics Drop Zone 223 BDC Reticle Rifle Scope – If you currently shoot a Nikon P-223, consider the Bushnell Drop Zone’s aluminum alloy a step up in endurance without adding noticeable weight. The anodized finish not only adds a handsome touch to its appearance but notably increases the scope’s resistance to corrosion. Bushnell also notorious goes to great lengths to extensively quality-test its materials, including thorough rustproofing and scratch-proofing treatments to ensure premium durability even under harsher-than-average punishment. Vortex Optics Diamondback 4-12×40 Dead-Hold BDC Reticle – As bodily construction goes, I couldn’t help but be impressed by the Diamondback. It’s one thing to assemble a beautiful scope from multiple intricately fitted and precisely fabricated parts. It’s another entirely to build a body from a single piece of aircraft-grade aluminum. I have a hard time believing you or I will find many scopes quite as sturdy as this engineered-for-invincibility model. It’s the kind of design that makes you take one look at the merchandise, look at the price again, and ask, “What’s the catch?” No catch. It’s just that damn well-made. Well-calibrated magnification is truly an art. It isn’t just a matter of being able to look closely at something far away. A truly thoughtfully designed scope will be able to zoom in smoothly with your eye to the lense and maintain a consistent clarity without fuzzing around the edges of its field of view, no matter its power. Bushnell Optics Drop Zone 223 BDC Reticle Rifle Scope – Again, Bushnell falls prey to offering nothing spectacular. It provides excellent magnification under normal light levels. The Drop Zone also offers the largest range of my short list, from 4.5-18x power with a 40mm lens. Nikon P-223 3-9×40 Mate BDC – Nikon surpasses Bushnell by surprising me with just how stable its reticle remains mid-zoom. During frantic adjustments on obscured shots, that can easily lose a target in brush while you refine the scope’s focus. The P-223 might have only a 3-9x range to its 40mm lens, but it sights quickly with a sound zoom out at as much as 300 to 400 yards. Vortex Optics Diamondback 4-12×40 Dead-Hold BDC Reticle – The Diamondback may have the median magnification range of this trio, but 4-12x is all you need when your images are as perfectly clear as this model’s with outside blurring. As swiftly as the Nikon adjusts its focus when zoomed, it couldn’t match the Diamondback’s patented Precision-Glide Erector System for smooth changes. Any scope this easy to control and manipulate on the fly would be a bargain at twice the price. There’s a certain accuracy metric I must explain before diving into this last category: “Minutes of Angle” (MOA). This unit becomes important when measuring both bullet drop across longer distances and grouping sizes. The equivalent to 1/60th of a degree, a single MOA spreads about one inch per 100 yards. For example, eight inches at 800 yards still reduces to a single MOA. Nikon P-223 3-9×40 Mate BDC – If you routinely sight your rifle at 100 yards, then the P-223’s 100-Yard Parallax setting is a godsend. “Parallax” refers to the general movement of objects within the scope’s field of view. Eliminating this factor entirely at 100 yards brings steadiness as close to bench-rest stability as possible without an actual bench. Its zero-reset turrets make precision adjustments ¼ MOA at a time faster and easier than almost any scope I have ever shot, especially guided combined with its Bullet Drop Compensation (BDC) reticle’s MOA hashmarks from 100-600 yards, as calibrated using 55-62 grain .223 Remington and 5.556 loads. Vortex Optics Diamondback 4-12×40 Dead-Hold BDC Reticle – Like I said: the Nikon P-223 adjusts faster and easier than almost any scope I have ever shot. Both have smooth, audible clicks with precise zero-reset turrets. Both allowed me to dial in my zero at 100 yards and shoot superb groups out to 500 yards with immaculately measured BDC hashmarks. I lend a slight edge to the Diamondback because of its “Dead-Hold” reticle, a customized dot that eliminates the tense active guesswork from holdover and windage adjustments. From varmints and slug shotguns to big-game hunting, muzzleloaders, and long-range shooting, you can’t really go wrong with either. Bushnell Optics Drop Zone 223 BDC Reticle Rifle Scope – Based on performance, I just have to give Bushnell the nod here. As much as I appreciated the accuracy of the Diamondback’s Dead-Hold reticle, I can also appreciate the value of the Drop Zone’s side-focus parallax adjustments when it comes to steadying my sights while drawing down over long distance. Its BDC calibration is identical to that of both the Nikon and Vortex scopes, as are the ¼ MOA increments of its target turrets. I have to give it some credit as well for how easy it is to make manual BDC adjustments by lining up my zero with my own zero mark, making my adjustments as needed, and being able to dial it right back down to my original zero. For not being exactly a “household name” among sporting optics aficionados, the Vortex Diamondback blew me away as one of the very best rifle scopes under $200 and a model equipped to keep pace with two legendary manufacturers. I didn’t expect it to be remotely as durable as its simple design would suggest or as impressively accurate. It does something rifle scopes have competitively revolutionized for years: it may not make a 500-yard shot necessarily “easy” but it does make lining it up incredibly simple. Any of these three scopes would be right at home in any setting, but on a limited budget, I can’t foresee a sleeper total package topping the Diamondback.